Home » Connectivity » Econet reintroduces its voice bundles. Is this a response to WhatsApp calls? Remember how we started off the year with a reduction in voice call tariffs and the subsequent termination of the Econet Bundles of Joy promotion? Well, those voice bundles have surfaced again. 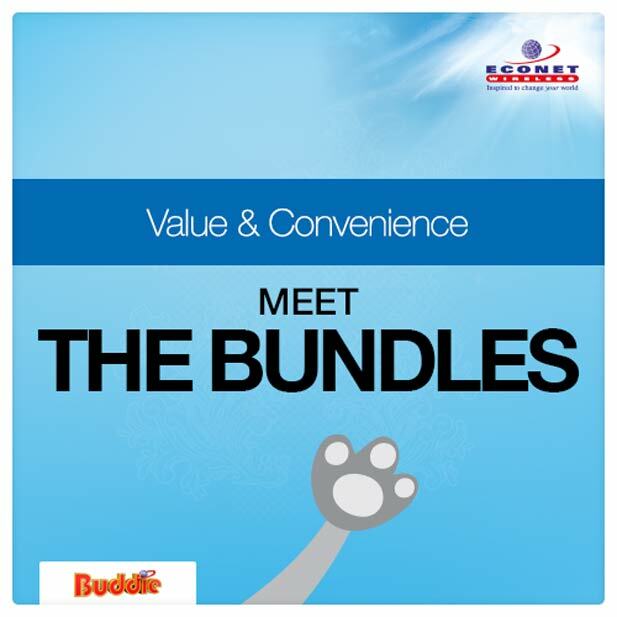 Econet made some changes to the bundles, specifically what you’ll get for each $1 that you spend. Instead of offering more minutes (I had foolishly hoped for that because tariffs were reduced, after all) each bundle is offering slightly less. Your $1 now gets you 8.5 minutes, down from the $1 for 10 minutes offer (it ordinarily gets you 6.66 minutes for on-net calls) and every other bundle has been similarly trimmed. One other change has been the introduction of a bundle combos option that offers voice bundles paired with SMS and data for a $5, $10 and $20 spend. To access the service, you still use the same familiar *140# USSD code with the bundles tucked under promotions option. Instead of having to agree to an invisible set of Terms and Conditions, an option to view some of the Ts and Cs has been added on the bundles’ USSD menu. Is this voice bundle revival a response to a further dip in voice revenue? I hardly think so. I won’t even go so far as to assume that packages like the Telecel $1/35-minute voice bundle and Mega Bonus promotion; or the immortal NetOne Dollar a Day promotions (both of which outshine the Econet offer any day) have jolted Econet into bringing the Bundles of Joy back either. The only visible change in terms of voice services in the market has been the WhatsApp voice calls. Yes, Econet has already said that it isn’t bothered by VoIP, which makes a tonne of sense in the bigger scheme of things when you consider issues to do with network capacity. However, the threat of losing out on more voice revenue to a new sensation that can and will be tried by anyone on WhatsApp with an Android device (there a lot of those by the way), should have been enough to for Econet to consider bringing back the one promotion that can offer just a bit of joy. so you think it’s the WhatsApp Call feature, not massive competition from Telecel and Netone that has brought Econet’s voice bundles back?? you must be the most stupidest, crazy, brainless person I’ve encountered! For now it’s only for Android, how many people do you think are using that call feature? what impact does it have on Econet’s revenue? big enough to bring the voice bundles back?? Jeez! Why the anger? Someone stole your porridge? voice bundles paired with SMS and data for a $5, $10 and $20 spend. what are those bundles? I downloaded the latest version of whatsapp but i cannot see the calling feature.To those who can help my no is 0772959494. Hve only used my whatsapp voice once to Mozambique … Connection was terrible. Still prefer to IM a person. FACT:- am not at liberty to say, but overall revenue has dipped significantly. Initially calls were going through but then I got the message that Whatsapp calls were blocked by “my” network. I switched to Telecel last week and got the same message on Saturday. My Whatsapp is completely blocked with an Econet line in my handset. It works with Telecel but not for calling. Everyone is running scared. Remember landline operators fighting to stay relevenat when mobile came out? Now the mobile players are hoping technology stops developing to their benefit. Its just a matter of time before calls are close to zero.